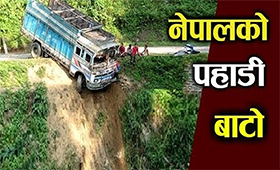 Posted by Anup Baral | August 15, 2017 : Senior orthopedic surgeon Dr Govinda KC has postponed his 23-day-long fast-unto-death in view of the loss of lives and property caused by monsoon rains-triggered floods and landslides in the country. Dr KC broke in tears after he heard the loss caused by floods and landslides. Earlier, KC had carried out health checkups in free of cost and distributed reliefs to the disaster-hit victims during a humanitarian crisis. 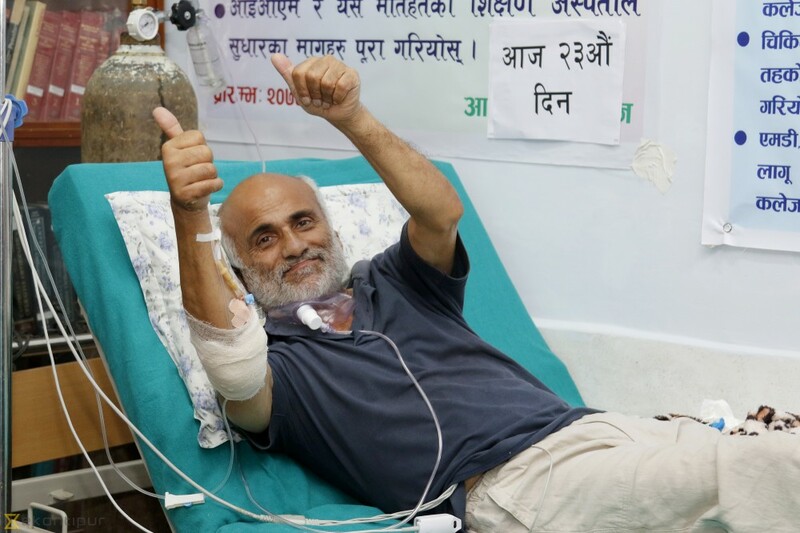 Dr KC will resume his hunger strike once monsoon mayhem subsides, said a source close to him. Meanwhile, KC has also urged one and all to involve in rescue and relief operations for the flood victims. Earlier, the government had appointed an assistant dean at IOM. Crusader for medical reforms in Nepal, Dr KC had been staging his fast-unto-death since last 23 days. This was his 11th hunger strike.